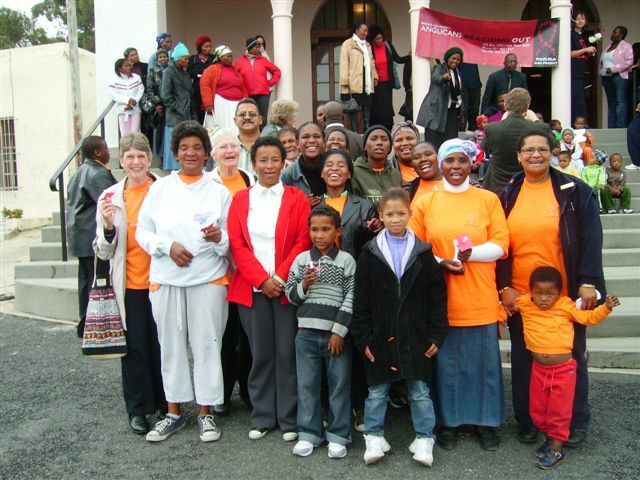 Ithemba support group goes to candlelight memorial service. 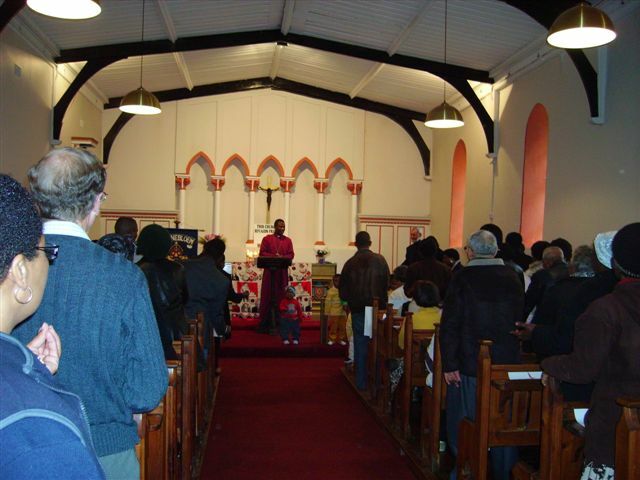 We were invited by Fikelela to attend the candlelight memorial service at Zonnebloem chapel on Thursday 15 May 2008. 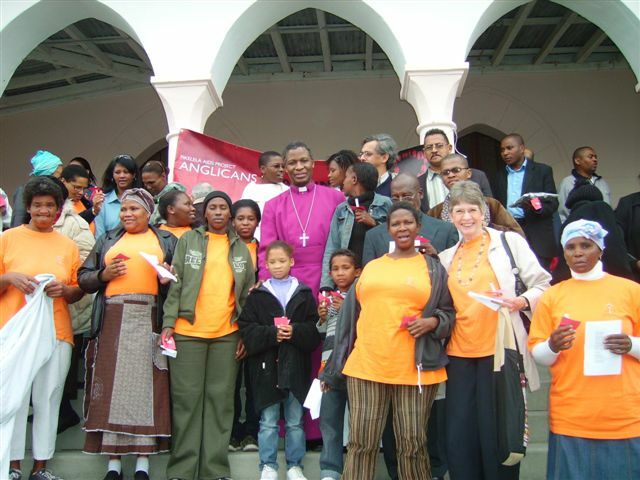 The guest speaker was the new Archbishop of Cape Town, Thabo Makgoba. 18 of us from the Ithemba support group went and we were privileged to meet the Archbishop afterwards. 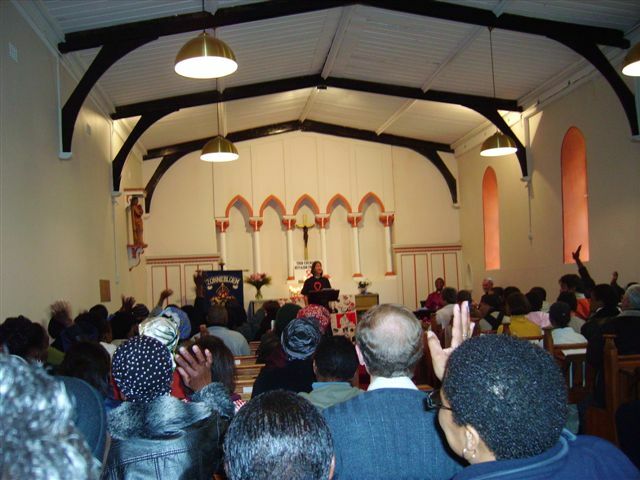 The service was to remember those who have died as a result of the HIV/Aids pandemic, as well as to celebrate life and to thank God for His wonderful love for us all, whether we are HIV positive or not. 2 of the members of Ithemba were asked to open the service with prayers, and they did this despite being very nervous with such a large crowd there! There were other support groups there from all over the Cape Town Anglican Diocese, and we enjoyed meeting them over lunch after the service. Children from the Fikelela Children’s Home sang some songs, which brought tears to everyone’s eyes. We would like to thank Fikelela for inviting us to this special service – we felt honoured to take part in it. We would also like to congratulate Rev Rachel Mash for winning a prestigious Impumelelo Trust Award for the wonderful work she has done in the field of HIV/Aids, on behalf of Fikelela.